Shortly after I competed in the 2016 Rallye Monte Carlo Historique as Dan Allven’s navigator, Dan bought a 1962 Alfa Romeo 2600 Spider. 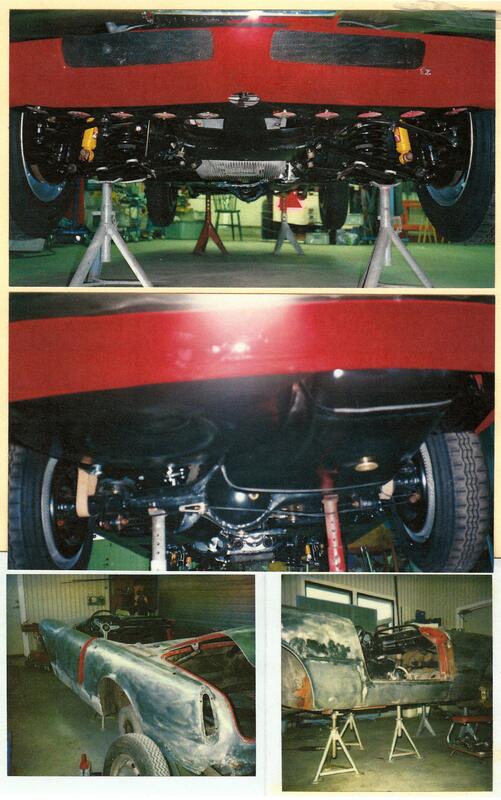 The car has recently returned from a restoration shop in Italy where the car was restored to a very fine level. Dan’s new car is shown below. The styling of the Alfa Romeo sports cars has always been impressive. The Alfa Romeo 2600 Spider is officially a 2+2 design, but it appears that there is only room for a picture of your kids in the back seat. The Alfa Romeo 2600 was built between 1962 and 1965. The 2600 model came in a saloon version, a 2-door Sprint Coupe, and the Spider as shown here. During that period about 11,346 2600 model cars were made with 2,255 of them being the Spider model. 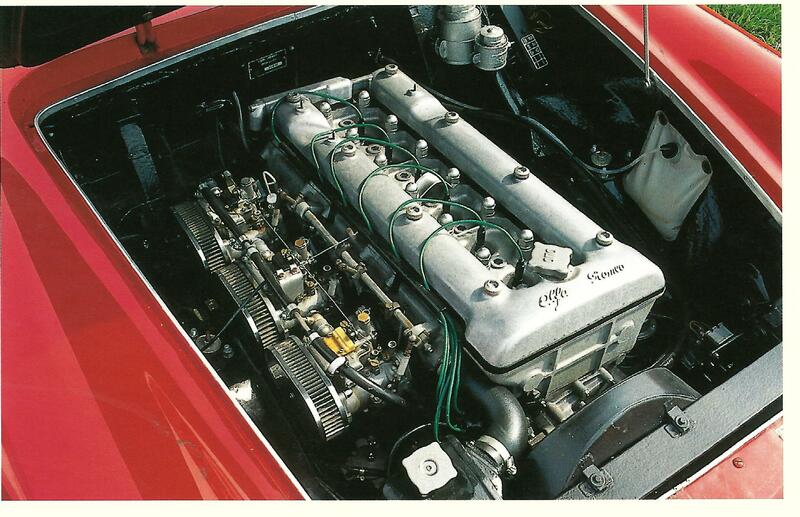 The engine in the Alfa Romeo 2600 was a 2,584cc inline six-cylinder engine with dual overhead camshafts, three double-throat carburetors and hemispherical combustion chambers with a 9:1 compression ratio. This engine produced 145 horsepower at 5,900 rpm which was 15 horsepower more than the same engine produced in the saloon or Sprint models. 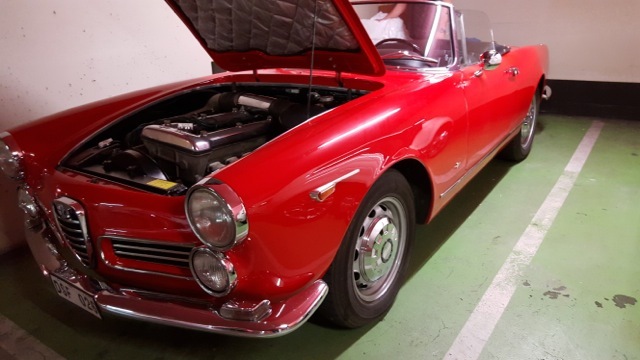 With the lighter weight of the Spider, this Alfa Romeo is capable of 125 miles per hour. The reported 0 to 60 miles per hour time was 11.1 seconds. This performance should be just fine for Dan as drives around Monaco and the mountains of southern France. Dan wrote in an email message to me that the car has just returned from a restoration in Italy. I think that taking an Italian car to Italy for restoration seems only fitting. From a “before” picture of the Alfa Romeo that I have, the car appeared to be in relatively good shape before the restoration compared to many other restoration projects I’ve seen. 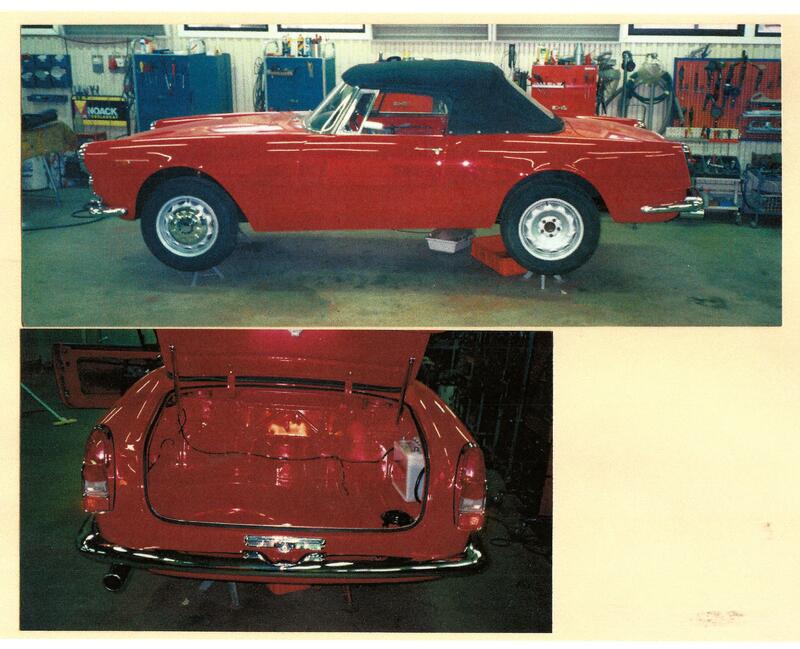 The pictures below show the restoration process that the car went through. The restoration appears to have been quite thorough. A new paint job really makes the car look as good as new. 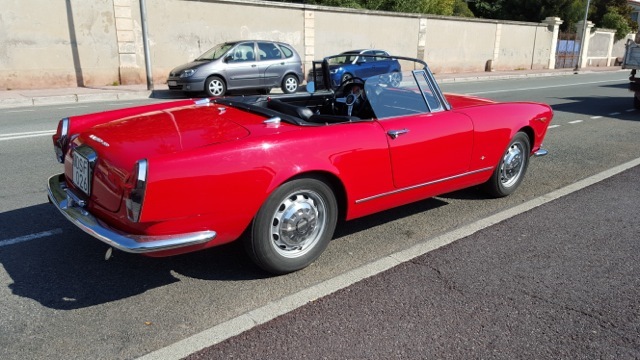 As a result of getting the 1962 Alfa Romeo 2600 Spider, Dan has said that he can’t keep two “Italian ladies”. As a result, he has put his 1964 Fiat 2300 S Abarth Coupe up for sale. This is the car that Dan and I competed in the 2016 Rallye Monte Carlo Historique with. I will be posting some information about this car in the next few days for anyone is interested in buying the Fiat. 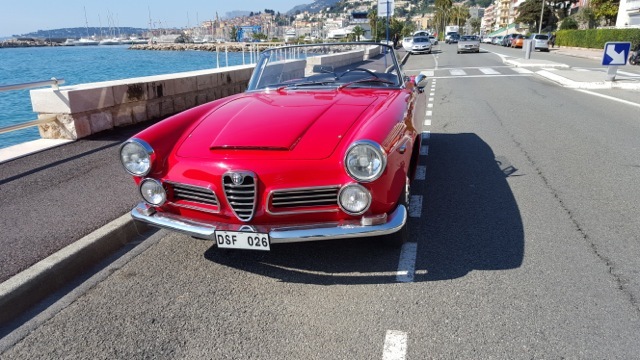 This entry was posted in Uncategorized and tagged Alfa Romeo 2600 Spider, Dan Allven. Bookmark the permalink. “it appears that there is only room for a picture of your kids in the back seat.” Steve you have just described the perfect classic car. And if you replace back seat with luggage, the perfect vacation:) The Alfa is beautiful.